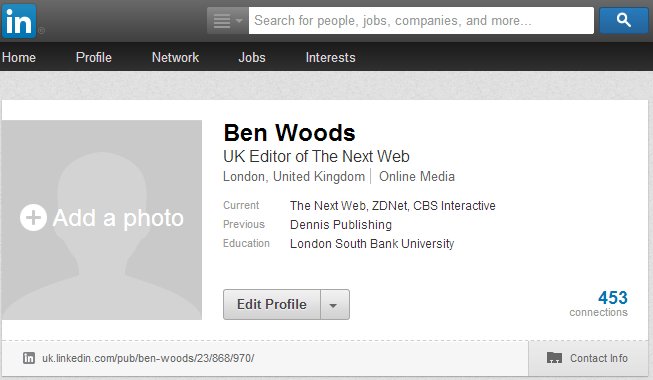 Update: A LinkedIn spokesperson got in touch to say all was well again with user profiles now. Ours also seemed to have returned to normal, so panic over. LinkedIn appears to be suffering from a few technical issues today, with users getting in touch to tell us that their once-populated profiles are now just a blank canvass. Other users of the business-oriented social network took to Twitter to find out if they were alone in missing their data. It seems they were not. The @LinkedInHelp Twitter account has just tweeted the following message acknowledging the problem, so hang tight. Some of you may be experiencing problems with your LinkedIn profiles. Our team is aware of it and are working on it right now. Stay tuned!